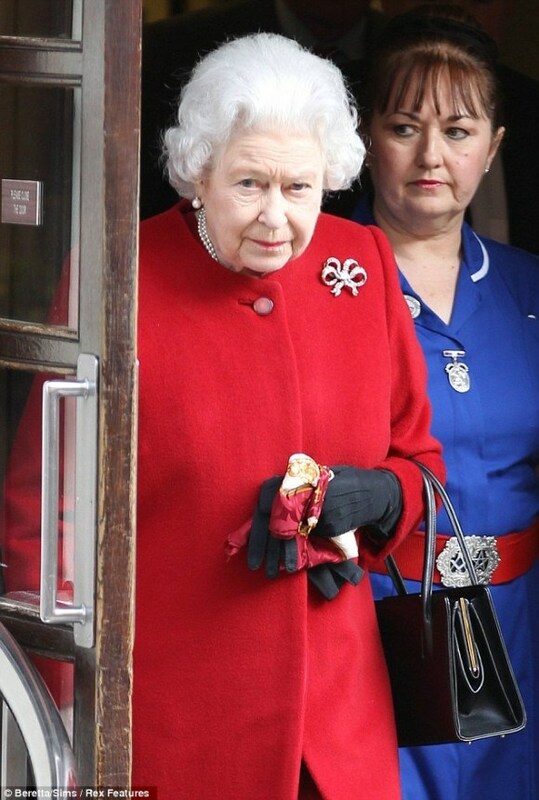 Queen Elizabeth, who had recently been admitted to hospital for a supposed stomach upset was recently pictured by the worlds brown nosing media leaving the building with her entourage of lackeys, secret service agents and one escorting nurse who was sporting a rather interesting looking belt buckle. 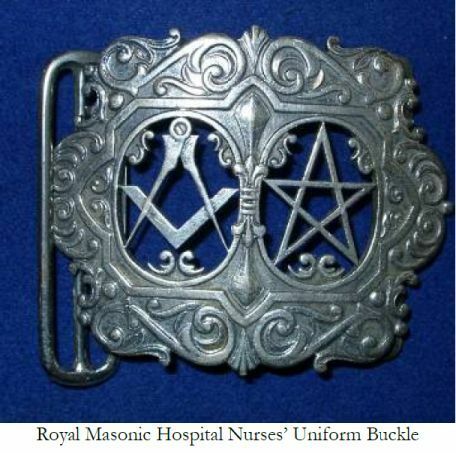 The substantial silver piece displays the occult pentagram often associated with satanic ritual, alongside the distinguishable freemason square and compasses, the principal symbol of the secret society. 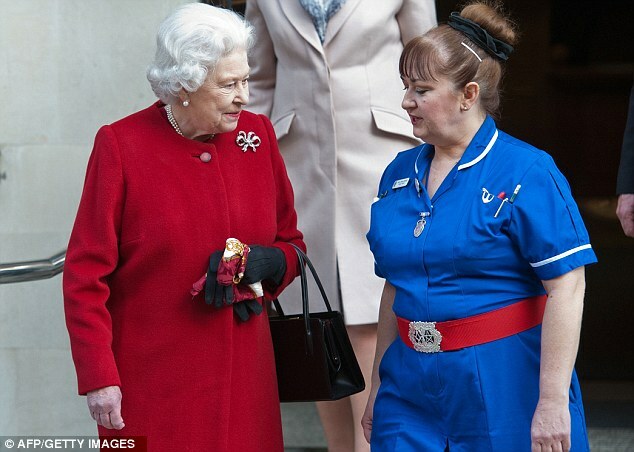 Now why would a nurse working in a supposed place of science and medicine and one dealing with no less than the head of the state be bearing symbols relating to magick and the occult? Remember, they do like their symbolism and they love to ‘hide’ it in plain sight and you don’t get much ‘plainer’ than in front of the world’s media. This too, from the very same hospital that a previous nurse, who dealt with Kate Middleton’s recent admittance supposedly committed suicide following the humiliation of the family after a harmless Aussie radio prank. Clearly, that nurse didn’t have the same affiliations as this one does. They can’t get any more obviuos than that!! If people would be more responsible, this whole conspiracy, thing would be more believable. i by no means am a video x-pert but if you expect me to believe that the belt this nurse is wearing is the same as the blown-up picture you supply you must take us all for idiots. People just enlarge the original photo and you will see for yourself. WHY THE DECEPTION? There’s no deception here Jack and I don’t expect you to believe anything. The images are freely available online and were actually taken from mainstream media reports of the story at the time. I have to say, I am truly shocked!! I knew the Queen was the Grand Patroness of the World Freemasons but I didn’t know the private hospital which look after the Royals was actually a Freemason Hospital!! Learning new info every day and my worldview is changing dramatically! There we have it. Thanx for the better photo.. When do we ever see her shaking hands with a “commoner?” Never! Looks to be a masonic handshake to boot. And, thank you for mentioning in the article, the nurse who reportedly committed suicide. Her death was shrouded in secrecy – to be expected with this bunch. R.I.P. Today i used Google for a search. They have a knew face celebrating the 100th year of CrossWord puzzles. This caught my eye..The 1st square that had G(for the G in google) was on The 33 across square. GRANDMASTER HENRY X° I TRULY DIDN’T KNOW ABOUT THE HOSPITAL, BUT NOW I DO I MOVING TO THE UK BECAUSE NOW I KNOW I’LL BE IN GOOD HANDS!!! I’M A GRANDMASTER OUR QUEEN MOTHER DESERVES THE BEST!!! WE LOVE & GOD BLESS TO OUR MOST WORTHY QUEEN, AMEN, AMEN, AMEN!